Reaching towards a better understanding of ourselves, each other, and the world. We would love to hear from you! Stop by our office, give us a call, send an email, or just fill out the form on this page and we will get in touch as soon as we can. 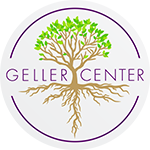 © 2018 Geller Center. All Rights Reserved.